Here you find our job offers! We are looking for designers and production staff. You can order Calendars for 2019 here. 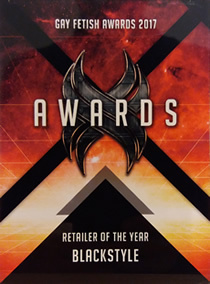 we were nominated "best retailer of the year" at the 2017 X-Awards in Antwerp ... and we won!! Many thanks to all who voted for us!! We are stoked and very proud. This is a big incentive for us to improve more in the future. here are some images from previous photo sessions, which have not been published (most of them), yet. The BLACKSTYLE catalogue - browse comfortably through our Flash catalogue! Here you find the catalogue.